Do you want to get ‘in’ on what analysts are calling a ‘soon-to-be 19 BILLION dollar’ pot industry? Of course you are! 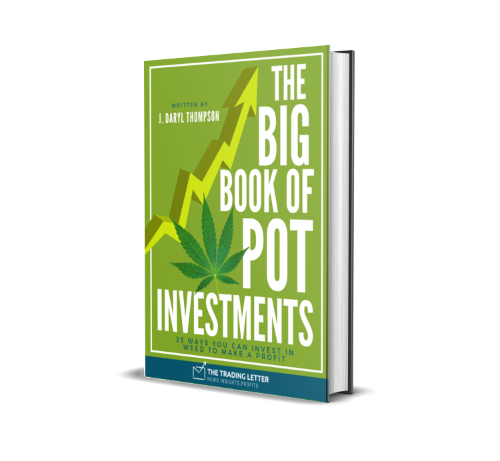 Inside this 100+ page ebook, you’ll discover there are 25 totally legal and profitable ways to invest in Pot successfully without knowing much about it! Pot is here to stay, and it’s ONLY getting bigger in 2019. Do not be left behind... and do NOT miss out on hidden opportunities to get your slice of the profits!